President’s Page: What Is Our Mission? We practice the art and science of medicine every day. We have witnessed an accelerated transformation of our profession away from individualized patient care toward politicized and collectivized “evidence-based medicine.” Without a doubt, this one-size-fits-all approach does not work and never can. Every patient is unique, with a unique set of circumstances. Our responsibilities to our patients include counseling them against ALL threats to their health. We recognize tobacco use, drug addiction, and excessive alcohol consumption as such threats, yet one danger towers above them all: our own dysfunctional “healthcare system.” Government intrusion into the exam room is at the heart of this threat. Not only has the government camel’s nose poked through the door, the giant clumsy beast is halfway in and smashing our tools about. We have no time to waste to sound the alarm and warn patients of this threat! Big Brother medical databases are being created by 16 states using electronic health records (EHRs) and insurance claims. Insurance companies are disclosing personal health information to the state without patient knowledge or consent. Encrypted data is shared electronically. Some states are releasing partially deidentified data, but 84 to 97 percent of the individuals were re-identified1 by using a DNA database cross-referenced with voter registration lists. One record was identified as that of a past governor of Massachusetts, William Weld.2 Using a ZIP code, newspaper reports and deidentified hospital records, lay persons were able to determine the identity of individuals involved.3 Employers have used this technique in the past when evaluating employees for promotions or job transfers.3, p 2 Making “protected” health information (PHI) “transparent” is a blatant violation of privacy. There is a double standard for penalties for privacy breach under the Health Insurance Portability and Accountability Act (HIPAA). Potentially ruinous financial penalties exist for physicians, while no such penalties apply to the government. Availability of deidentified health information is risky, clearly unethical, and violates patient privacy. Sharing PHI occurs without patient knowledge, consent, or sufficient protection. If identifying an individual as explained above is simple, why does an exemption exist under HIPAA, and why do physicians alone face such severe penalties when a privacy breach— knowingly or unknowingly—occurs? There appears to be no risk to the state and only minimal risk to the insurance industry. Under the current regulatory framework in the United States, studies involving deidentified health records are exempt from regulations governing research with human subjects (45 C.F.R. § 46.101(b)(4)). Similarly, deidentified health records are outside the definition of “protected health information” (45 C.F.R. Not only are databases a violation of privacy, but they are a useful gear in the rationing-of-care machine. Shared data is electronically compiled for the purpose of creating treatment guidelines and profiling. Data will be used to determine which services are overused, and which patient populations are involved. This enables restriction of access to these services, claiming overuse of resources. According to President Barack Obama, it is better to just give Grandma the pill rather than the surgery. One of my patients who can barely walk was told to use Aspercream on her severely arthritic knees. As of Jan 1, physicians are paid to engage in end-of-life discussions with their patients. The Centers for Medicare and Medicaid Services (CMS) has created Advanced Care Planning (ACP) codes for voluntary end-of-life counseling. An earlier version of the health care reform law called for paying physicians to perform such counseling, but was dropped after claims that the law would establish “death panels” and result in withholding care in order to save money. CMS reintroduced ACP in the summer of 2015 and finalized the plan by including new codes in the 2016 fee schedule. Since 1997, physicians have been threatened with annual cuts in Medicare fees under the Clinton-Gingrich Sustainable Growth Rate (SGR) formula. In 2015, Congress crafted a substitute (“solution”) and passed the Medicare Access and CHIP Reauthorization Act (MACRA). This act promised to stabilize the Medicare fee schedule and provide a purported increase of 0.5% in fees for 2016. Before the celebration begins, we need to understand that the pay “increase” is really a 0.3% decrease. The reason is explained by Robert Lowes, writing in Medscape.8 Simply stated, the Affordable Care Act (ACA) and laws governing Medicare payments trump the pay increase. CMS has created a fee schedule conversion factor used in the Relative Value Unit (RVU) formula that determines fees. MACRA increased that factor by 0.5%, while CMS reduced the factor to 0.02% to reflect a “budget neutrality adjustment.” As if that were not enough, the spending for the fee-for-service sector was by CMS’s measure too high. This resulted in an additional 0.77% decrease in order to meet targeted savings. The surprise cut results from the Protecting Access to Medicare Act (PAMA), which requires CMS to adjust fees for “misvalued” and “overused” services by 0.5% annually from 2017 to 2020. Another piece of legislation, the Achieve a Better Life Experience (ABLE) Act of 2014 increased the savings target to 1% beginning 2016. CMS managed to cut payments, saving 0.23% when balanced against the 2016 fee schedule. PAMA obliges CMS to increase cuts by an additional 0.77% to reach the 1% reduction. Applied to the RVU formula, the conversion translates to a 0.3% payment reduction below 2015 levels. Utilizing PAMA and ABLE to control spending may eliminate the need for the Independent Payment Advisory Board (IPAB) contained in the Affordable Care Act (ACA). Spending will be limited, and the draconian powers of the IPAB will not be necessary. Since Medicare’s inception, the program’s spending has continued to increase, and the government continues to ratchet down the physician payment rates. This has created another means of rationing care to the elderly. Patients are anxious and cannot find a primary care physician (PCP). Why? Because the PCPs are not accepting new Medicare patients, or are opting out of Medicare. For physicians, the prospect of seeing a patient under the health exchange is financially risky. Payment rates under ACA are below Medicare rates by as much as 40%. Obtaining payment for services may be impossible. The U.S. Department of Health and Human Services (HHS) requires insurers to cover subscribers for 90 days after they stop paying their premiums. 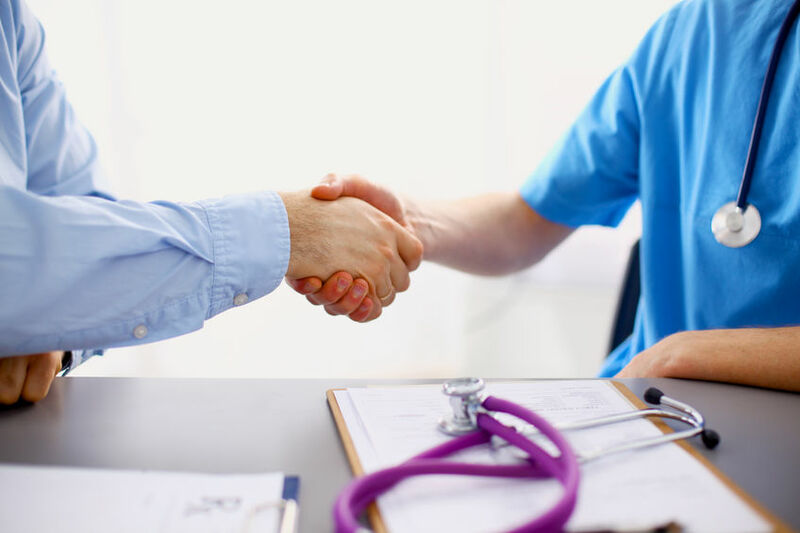 The insurer must pay the physician for only the first 30 days, while it’s up to the physician to collect any payment for the remaining 60 days. This is the leading reason physicians do not accept patients on the exchange.9 The patient is no better off if there is limited access. Many cannot afford to seek medical care under the ACA. Shackled with crippling premiums, co-pays, and deductibles, families are paying up to 25% of their annual income, and cannot afford to seek medical care.9 Insurance is not assurance of care. Effective in February, detailed data on physicians opting out of Medicare will be collected in a database for purposes of evaluating access to patient care. HHS states that more physicians may opt out in the near future, given the potential for legislated decreases in Medicare payment for physician services.11 By its own admission, the government is causing the shortage. Patients and physicians have been lied to on many subjects, from the benefits of EHRs to “affordable” access to medical care. If EHRs were so wonderful, why did physicians have to be incentivized to adopt them, and penalized if they didn’t? No one had to be subsidized to use the iPhone or Apple watch. Why? Because the free market developed phenomenal technological advances, serving a need, with interoperability and ease of use. Had the free market been allowed to operate in medicine, technology would have developed naturally, catering to the real needs of patients and physicians, without need for top- down engineering or the carrot-and-stick approach. Creation of one central database establishes a vulnerable structure. Hacking a single system with such a cache of information would be quite a coup. Can we be assured this will never happen? Sharing PHI violates the privacy of the patient- physician relationship. Patients are now sharing their formerly confidential, now virtually unprotected information with the government and many government-authorized entities in real time. EHR is the great interloper. 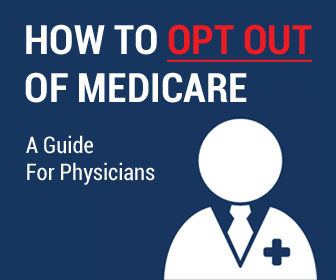 Physicians can choose to opt out of Medicare, and not accept government payment for any services they provide. Physicians can choose to practice using secure paper charts, which will never be at risk of hacking. Our patients need to be educated to realize the threats of lost privacy, rationing of services, and declining access to care. These threats are real and are created by government. Patients also need to know that options exist. They should seek care from physicians who have opted out of all third-party payments, physicians who will safeguard their confidential records. Charity care and affordable health-share ministries provide options. 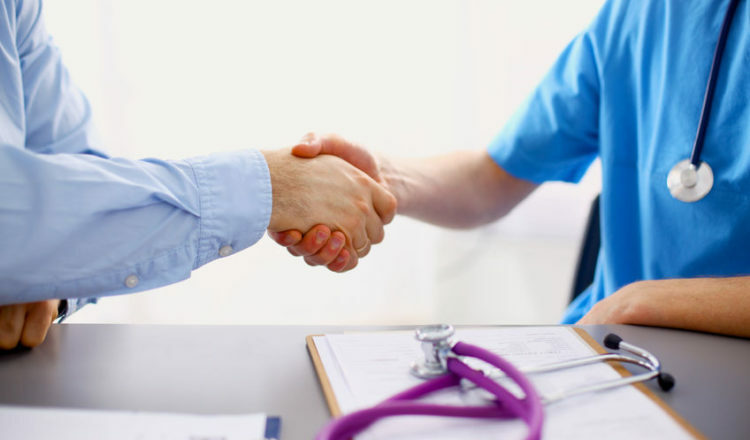 The Association of American Physicians and Surgeons stands for the preservation of the sanctity of the patient-physician relationship, and for safeguarding the individual rights and independence of patients and physicians. Safeguarding includes recognizing the threat that EHRs pose, the perverse incentives for end-of-life care, the deceptive promises, and the erosion of physician morale. As physicians we are obligated to protect our patients and our healing mission. We must continue to guide, educate, and support our patients through these confusing and turbulent political times. We must challenge interference in our profession, as this interference is unlawful, immoral, and outside the bounds of the U.S. Constitution. Our mission is daunting, but we must fight on valiantly and tirelessly. We owe it to our patients and to ourselves. Melinda Woofter, M.D., practices dermatology in Granville, Ohio, and serves as president of AAPS. 1. Sweeney L, Abu A, Winn J. Identifying participants in the Personal Genome Project by name. White Paper 1021-1. Harvard University. Data Privacy Lab; Apr 24, 2013. Available at: http://dataprivacylab.org/projects/pgp/1021-1. pdf. Accessed Feb 4, 2016. 2. Sweeney L. Weaving technology and policy together to maintain confidentiality. J Law Med Ethics 1997;25(2-3):98-110. 3. Sweeney L. Matching known patient data to health records in Washington State data. Available at: http://dataprivacylab.org/projects/wa/1089-1.pdf. Accessed Feb 3, 2016. 4. Rothstein MA. Is deidentification sufficient to protect health privacy in research? Am J Bioeth 2010;10(9):3-11. doi:10.1080/15265161.2010.494215. Available at: http://www.ncbi.nlm.nih.gov/pmc/articles/PMC3032399/. Accessed Feb 3, 2016. 5. 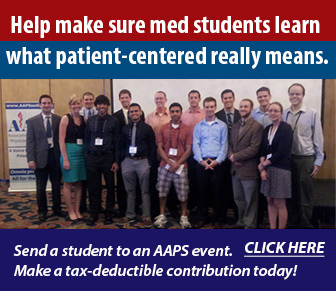 Association of American Physicians and Surgeons, et al. Brief of Amici Curiae. Gobeille v. Liberty Mut. Ins. Co., U.S. Sup. Ct. No. 14-181. Available at: http:// aapsonline.org/judicial/gobielle-aaps-amicus-9-2-2015.pdf. Accessed Feb 4, 2016. 6. Lowes R. Medicare approves payment for end-of-life counseling. Medscape, Oct 30, 2015. Available at: http://www.medscape.com/viewarticle/853541. Accessed Feb 3, 2016..
7. Grimstad J. The POLST form: you could be signing your life away. Celebrate Life, May-June, 2014. Available at: http://www.clmagazine.org/article/index/id/ MTM4MDA/. Accessed Feb 3, 2016. 8. Lowes R. Physicians decry broken promise of Medicare raise in 2016. Medscape, Nov 3, 2015. 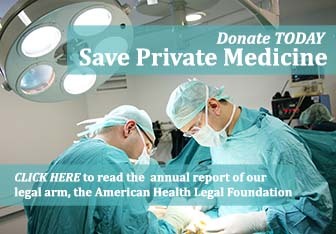 Available at: http://www.medscape.com/ viewarticle/853878. Accessed Nov 21, 2015. 9. Boland B. Over 214,000 doctors opt out of Obamacare exchanges. CNS News, Oct 28, 2014. Available at: http://cnsnews.com/mrctv-blog/barbara- boland/over-214000-doctors-opt-out-obamacare-exchanges. Accessed Jan 20, 2016. 10. Tavenner M. Lack of Data Regarding Physicians Opting Out of Medicare. Memorandum Report (OEI-07-11-00340). U.S. Dept. of Health and Human Services. Office of Inspector General; Jan 26, 2012. Available at: http://oig. hhs.gov/oei/reports/oei-07-11-00340.pdf. Accessed Feb 3, 2016. 11. Flowers A. We may finally learn how many doctors are opting out of Medicare. FiveThirtyEight, Mar 26, 2015. Available at: http://fivethirtyeight. com/datalab/data-transparency-gets-a-win-in-houses-medicare-bill/. Accessed Feb 3, 2016. 12. Slavitt A. 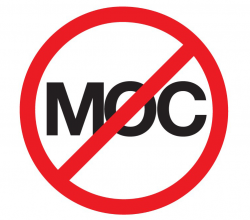 The end of Meaningful Use is in sight. Modern Medicine, Jan 15, 2016. Available at: http://medicaleconomics.modernmedicine.com/ medical-economics/news/end-sight-meaningful-use?page=0,0. Accessed Jan 15, 2016. 13. Scandlen G. Health information technology: whistling by the graveyard. National Center for Policy Analysis; Feb 1, 2012. Available at: http:// healthblog.ncpa.org/health-information-technology-whistling-by-the- graveyard/. Accessed Feb 3, 2016.